Come to our outdoor trunk show/ sidewalk sale this weekend to discover more goodies! 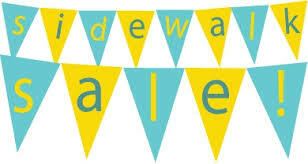 Sidewalk Sales start this Saturday! Don’t miss it! Come on out to check out an extended array of work from four local artisans, set out fair-style on tables in front of our large window. Watch for the colorful signs and balloons and make that life-threatening left turn! You’ll be glad you did. Actually, we’ll be offering all new artists every other Saturday for the next four weeks. But they will all have an extended body of work (more & different from what they currently are showing in Makers Connect) so make a point to stop by every weekend to see what’s new and cookin’.